Statisticians Mirko Jalava (FIN) and A. Lennart Julin (SWE) continue their ‘End of Season’ event category reviews, which cover all Athletics disciplines, highlighting the best performances which have taken place across our sport in 2012, with the JUMPS. A couple of jumpers had certain expectations after what happened in 2011, in particular Qatar’s 21-year-old Mutaz Essa Barshim, who continued his huge surge towards the world top in this event. Barshim broke through two years ago, jumping 2.31m as a junior and won at the 2010 World Junior Championships. Last year, he won the Asian title in July with a 2.35m personal best and although he fell just short of a medal at the World Championships, finishing seventh with 2.32m, this year he has gone to even greater heights. It didn’t work out for him at the IAAF World Indoor Championships despite a 2.37m Asian indoor record at the Asian Indoor Championships just prior to Istanbul, but outdoors matters were different. Barshim won his first major medal, a bronze, at the London 2012 Olympic Games. Less than two weeks after the Olympics, even bigger heights got scaled. First, Barshim won in the famous high jump meeting in Eberstadt, Germany, equalling his 2.35m national outdoor record; before a superb duel in Lausanne ended in a historic moment when the young Qatari cleared 2.39m with his second attempt to equal Zhu Jianhua’s long-standing Asian record, which has stood since 1984. Russia’s Ivan Ukhov lost that battle in Lausanne despite jumping 2.37m, but otherwise he had the best year of his career. Ukhov, 26, finished third at the World Indoor Championships and then cleared 2.37m in Opole, Poland, at the start of June, followed by world-leading 2.39m to win at an epic Russian Championships in July. Three athletes cleared 2.35m or better in Cheboksary, with Aleksandr Shustov only third with 2.35m and the 2008 Olympic champion Andrey Silnov, who also took the silver medal at the 2012 World Indoor Championships, was second with a 2.37m season’s best. Ukhov didn’t compete again before the Olympics but he won in London with a memorable performance. First time clearances at 2.33m, 2.36m and 2.38m left his rivals with little chance before, with the gold won, the Russian finished his day with one unsuccessful try at 2.40m. 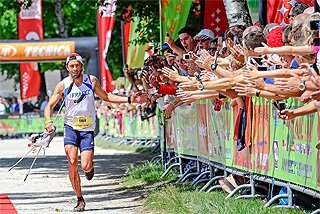 One athlete who joined the world’s elite this year was Great Britain’s 25-year-old Robbie Grabarz. Having not cleared 2.30m before the start of the year, he started 2012 in fine style when he went over 2.34m indoors in January. His good form continued outdoors. A win with 2.33m at the Samsung Diamond League meeting in Rome was just the start. In his next competition, he was able to challenge 2011 World champion Jesse Williams in New York and both athletes cleared 2.36m, although the American claimed the win on home soil because of his first time clearance compared to Grabarz’s success with his second jump. Grabarz then won at the European Athletics Championships in Helsinki before taking a bronze medal at the Olympics, behind Ukhov and the American jumper Erik Kynard. He went on to equal the British national record when he went over 2.37m in Lausanne to crown a great breakthrough season. For the first time since 1991, two men cleared 2.39m during the year. United States is the best country in this event with 17 athletes in the world top 100 while Russia is second with 12. France’s Renaud Lavillenie did something that has been impossible for European athletes before, grabbing three major international titles in the same year, as the European Athletics Championships were held for the first time in the same summer as the Olympic Games. Lavillenie, 26, had an astonishing season, both indoors and outdoors. Indoors, the Frenchman won four out of five competitions including at the World Indoor Championships, when he took his first global victory with a classy 5.95m result. The same form continued outdoors as he won eight out of 10 contests before the Olympic Games, included a thrilling battle at European Athletics Championships where German Bjorn Otto fought doggedly with Lavillenie. However, first time clearances at 5.87m, 5.92m and finally 5.97m brought the Frenchman his second straight European outdoor title. Like in Helsinki, at the Olympic Games it was 35-year-old Otto, also accompanied by compatriot Raphael Holzdeppe, who were the French vaulter’s main rivals. However, unlike in Helsinki, in London it was Lavillenie who trailed the Germans for much of the later part of the competition. Otto grabbed the lead in the with a first time clearance at 5.91m and was quickly followed by Holzdeppe, who was third in Helsinki. Lavillenie failed his first attempt at that height but opted to take his remaining two tries to 5.97m and he cleared with his last try for the victory. Coincidently, in London, the medallists were in exactly the same order that they had been in Helsinki. Otto went on to clear 6.01m for the 2012 world leading mark on home soil in Aachen in September to become the 16th man to clear six metres or more outdoors. United States is the best country in this event with 24 athletes in the world top 100. Germany is second with 11 and Russia third with 10. This discipline was the only men’s jumping event where the standard at the world top was a bit low compared to recent years. Two athletes, Great Britain’s Greg Rutherford and the Russian junior Sergey Morgunov reached 8.35m early in the summer and that remained the world leading distance. The 26-year-old Rutherford equalled Chris Tomlinson’s British record in May in the USA while the 19-year-old Morgunov acquired the world junior record in June at the Russian junior championships. The latter’s mark improved by one centimetre the record which had stood to the United States’ Randy Williams, a mark achieved in the 1972 Olympics Games qualification round almost 40 years before. Morgunov’s good form was not a huge surprise as he had won at the 2011 European Athletics Junior Championships in Tallinn with a wind-aided 8.18m leap (and 8.10m legal effort there). 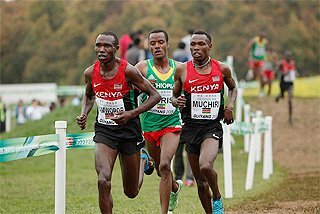 He went on to win at the IAAF World Junior Championships in Barcelona this summer but he was not quite ready for the Olympics and did not make the final. Germany’s Sebastian Bayer won at the European Athletics Championships with an 8.34m leap and had a couple of huge fouls in that competition. 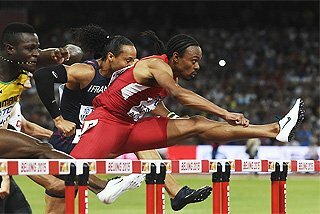 There were also several others aiming for an Olympic medal including South Africa’s Godfrey Mokoena, Australia’s Mitchell Watt and Panama’s 2008 Olympic champion Irving Saladino but Saladino didn’t even get a result in the qualification while Bayer, Tomlinson and Mokoena were quite far away from their best form. In the final, only one athlete lived up to expectations and that was Rutherford, who won by 15cm. The Briton took the lead in round two with 8.21m and his win, perhaps surprisingly, was never to be in jeopardy after extending his lead with 8.31m in round four. Watt grabbed another silver medal, just like at last year’s World Championships, despite a relatively modest 8.16m and United States’ multi-talented Will Claye took the bronze with 8.12m. United States tops this event with 15 athletes in the world top 100 and China is second with 10. In the Triple Jump, Christian Taylor hasn’t needed a long time to transform himself from NCAA Champion to World champion and now Olympic champion as well. This versatile 22-year-old American athlete was just a promising jumper two years with a personal best 17.02m personal best, and 8.19m Long Jump but 2011 was a big year for Taylor and he added a massive 94cm to his triple jump best, jumping 17.96m for the World title in Daegu. Taylor was then very consistent at the start of his outdoor season, winning the Samsung Diamond League meeting in Eugene with 17.62m and then the US Trials at the same venue with 17.63m. In London, Claye initially looked like the best bet for another major win as he took the lead in round two with 17.54m while Taylor fouled his first two jumps, before getting out of danger with his third effort of 17.15m. However, Taylor pulled everything together in round four and finally found the jump he was looking for by landing at 17.81m, the best mark in the world in 2012, to secure the gold medal while Claye improved to a personal best of 17.62m, for the silver medal, becoming the first man to medal in the Long and Triple Jump at the same Olympics since 1936. Italy’s 36-year-old Fabrizio Donato continued to show he still has young legs. Firstly, he won at the European Athletics Championships and then took the bronze medal at the Olympic Games, his first medal in a global championship during his long career which is far from over. United States is the best country overall in this event with 17 men in the world top 100 while Russia is second with 10. 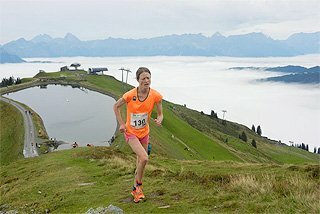 Chicherova was showing definitive world record ability while Croatia’s former world number one Blanka Vlasic had various injury problems, Germany’s Ariane Friedrich was struggling to regain form after an Achilles rupture at the end of 2010 and Belgium’s 2008 Olympic champion Tia Hellebaut, at age 34, found it tough to become a 2.00m jumper again after having her second baby. The only real challenger to Chicherova appeared to be United States’ Chaunté Lowe and that analysis gained strength indoors when Lowe won the US title with 2.02m. Chicherova was still thought to be the class act ahead of the World Indoor Championships, having compiled a perfect record and series of 2.00m-plus marks from her five meets, including a national indoor record of 2.06m in the German town of Arnstadt. Unfortunately, she had also been suffering from recurring back problems which surfaced seriously in Istanbul and she could only go over 1.95m for a share of second place, with the gold going to Lowe at 1.98m. The Russian bounced back at the start of the outdoor season by cleating 2.02m at the Samsung Diamond League meeting in Eugene and then 2.03m at the Russian Championships before more back issues meant she only finished third with 1.94m at the Diamond League meeting in London, finishing behind Lowe and Hellebaut. In the end though, Chicherova did prevail when it mattered at the Olympics. She had no misses through to 2.03m before making 2.05m on her second attempt but was joined on the podium not by Lowe or Hellebaut but by United States’ Brigetta Barrett and Russia’s Svetlana Shkolina. 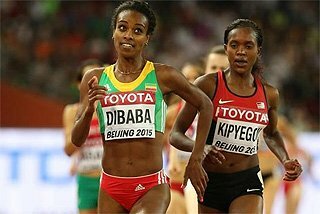 The latter was not really a surprise as she was coming into London having a couple of 2.00m performances and had only lost to Chicherova. Shkolina further strengthened her CV with three more 2.00m-plus meetings after the Olympics, In Rieti, at the end of the season, she even came extremely close to making 2.05m. 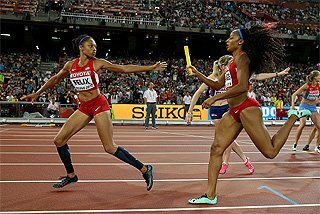 However, at the Olympics she still had to be content with the bronze medal as Barrett had her day of days, making 2.03 on her second attempt while Shkolina went over on her third. Barrett, now in her final year at the University of Arizona, had nine of her 11 outdoor meets at in the 1.89m-1.95m range, the two exceptions being the US Trials, where she cleared 2.01m, the same height as the winner Lowe, and the Olympics. Russia’s Irina Gordeyeva occupies the second spot on the 2012 world list thanks to her out-of-the-blue 2.04m in Eberstadt, Germany, eight days after the Olympics, where she was down in 10th with 1.93 and just two days after her 1.88m at the Stockholm Diamond League meeting. 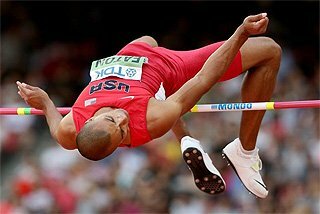 Traditionally, the High Jump is a fairly youthful event where the athletes often break through into to as juniors or soon after. However, the average age of the nine jumpers at 1.97m or better in 2012 was 27 years. Among the 18 jumpers who cleared 1.95m or more, there were only three born in the 1990s: Barrett, Norway’s Tonje Angelsen and Lithuania’s Airine Palsyte. It is time to forget the oft-propagated view that the women’s Pole Vault is not yet a fully matured event. If one looks at the 2012 list, it is clear that the event has been on a stable plateau for the last five years. Here are some numbers: since 2007 the fifth best mark annually has varied between 4.71m and 4.78m, the 10th best between 4.65m and 4.70m, and the 20th best between 4.52m and 4.60m. It also seems on this year’s evidence, with the top mark of 4.83m being the lowest since 2003, that Yelena Isinbayeva won’t get much company above 5.00m in the immediate future. Seven years have passed since she did it first and still no one else has come even closer than eight centimetres to that barrier although Isinbayeva quite unexpectedly raised her world indoor record to 5.01m in Stockholm in February. However, that turned out to be just a short glimpse of the old Isinbayeva. 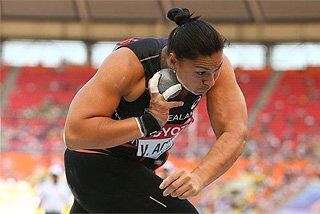 Her other indoor meetings in 2012 ended between 4.69m and 4.81m, and her outdoor best was just 4.75m. With that decline in performance, Isinbayeva’s aura of invincibility from the years between 2005 and 2008 has been lost. During that period, others knew they were only competing for second place while she was waiting/resting/sleeping under her cap or towel for a couple of hours. This is no longer the case and her rivals clearly regard her more-and-more as just another opponent that is definitely beatable. She could still win competitions but it is no longer a foregone conclusion and even though Isinbayeva returned to the top at the 2012 World Indoor Championships, she just squeezed onto the Olympic podium with third place in London. The top medals instead went to American record holder Jenn Suhr, number two on the world all-time list and the silver medallist in Beijing four years ago, and Cuba’s Yarisley Silva. The pair both cleared 4.75m on their second attempts but Suhr won on the countback thanks to Silva’s costly miss on her first attempt at her opening height of 4.45m. Both Suhr and Brazil’s 2011 World champion Fabiana Murer are, like Isinbayeva, now in their thirties and even Silva and top German Silke Spiegelburg (perhaps the most consistent of the current elite but finishing in that dreaded fourth place in Istanbul, at the Olympics as well as at the European Athletics Championships!) are closer to 30 than 20. Nevertheless, there are several interesting prospects for the future. Great Britain’s Holly Bleasdale has just turned 20 and improved dramatically in late January all the way to 4.87m, a height that only three others - Isinbayeva, Suhr and Russia’s Svetlana Feofanova - have ever surpassed either outdoors or indoors. Bleasdale’s meteoric rise started speculation about major championship gold medals and her going over 5.00m but that turned out to be premature. She did establish herself on the world scene and her five remaining indoors meetings were all clustered between 4.68m and 4.72m; and she did get the bronze medal at the World Indoor Championships. Her outdoor season, however, never really blossomed and in nine out of 12 meetings she couldn’t get beyond 4.55m. This year also saw the final year as a junior of Sweden’s Angelica Bengtsson, who has won everything on offer at youth and junior level since 2009 and raised the World Junior Record by 15cm to 4.63m indoors. The senior ranks await her although this summer she did compete at both the European Athletics Championships and Olympics, finishing 10th in the Helsinki final and 19th in the London qualifying round. Also coming up is Ukraine’s Hanna Sheleh, six days younger than Bengtsson who cleared 4.60m indoors in 2012, and Australia’s Liz Parnov, who went over 4.50m in 2012 and who is still a junior in 2013. This year, just three competitions more-or-less defined the whole summer: the US Olympic Trials, the Russian Olympic Trials and, of course, the Olympic Games themselves. The US event statistically turned out to be the best meet in the world with three women over 7.00m and another two at 6.97m. 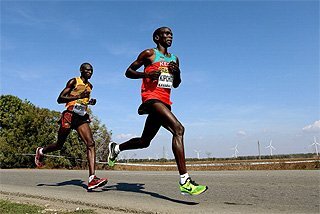 However, there were exceptionally good conditions and several athletes achieved distances they had never before, or after, approached. Whitney Gipson was fourth in 6.97m, had 6.80m/6.82m windy before the Trials and 6.66m after, while Vashti Thomas did 6.97m in the US Trials qualification but had 6.29m coming in and nothing afterwards. However, the winner Britney Reese, with 7.15m, and third placed Janay DeLoach, who reached 7.08m windy/7.03m, certainly proved their capabilities on the world stage and finished in the same positions at the Olympics. The pair also took the gold and silver medals at the World Indoor Championships in Istanbul. Reese has actually now collected the last five global titles on offer. 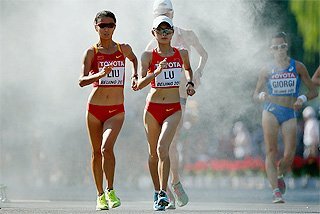 Like the usual US system, Russia also chose to select the top three at their Trials/Championships, which meant leaving Olga Kucherenko off the team despite the fact that she had won at the Oslo Diamond League meeting in impressive fashion and beat erstwhile Olympic medallists Yelena Sokolova and DeLoach. Kucherenko also jumped about a quarter-of-a-metre further than Lyudmila Kolchanova, who had edged out Kucherenko at the Russian Trials for the place on the London team, at the Stockholm and Zurich Diamond League meetings after the Olympics. On the other hand, Kolchanova competed well at the Olympics and finished a solid sixth behind Reese and DeLoach, fellow Russians Sokolova and Anna Nazarenko as well as Latvia’s Ineta Radevica of Latvia, the latter following up her 2011 World Championships bronze medal to get fourth in London with 6.88m. However, the top names of the summer of 2012 were indisputably Reese and Sokolova. In addition to her Olympic Games silver medal and Russian title, jumping over seven metres on both occasions, she competed in five Diamond League events and finished 2-1-1-1-1, exceeding 6.82m in four of those meetings. 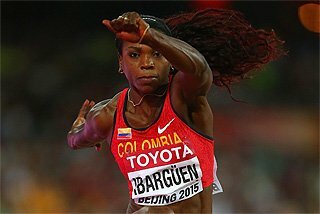 With Cuba’s Yargelis Savigne wrestling with injuries the event currently has three major contenders: Kazakhstan’s Olga Rypakova, Ukraine’s Olha Saladuha and Colombia’s Caterina Ibarguen. This trio monopolized the medals both at the 2011 World Championships, when Saladuha won; and at the London 2012 Olympic Games where Rypakova took the honours. In the Diamond League, the trio have 10 straight wins and counting: three for Saladuha at the end of 2011; in 2012, four for Rypakova, two for Saladuha and one for Ibarguen. 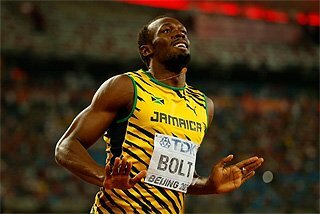 The only thing the top three let slip out of their hands in 2012 was the World Indoor Championships gold medal. Neither Saladuha nor Ibarguen participated and Rypakova was upstaged by Great Britain’s 39-year-old Yamilé Aldama, who bounded to 14.82m, her longest for six years. This year generally belonged to Rypakova who, in addition to the Olympic title, had four wins, one second place and two third places in her seven Diamond League outings. The only thing really missing was the 2012 world leading mark, which went to Saladuha by one centimetre thanks to her 14.99m when winning the European title as compared to Rypakova’s 14.98 at the Olympics. Behind the top trio clustered between 14.95m and 14.99m there is a gap of 19cm back to the next woman on the World list. Just like the Pole Vault, the Triple Jump is no longer a work in progress but a fully matured event where the standards have levelled off. In fact, the current trend is slightly negative with the top standards falling a little in the last two years. This is apparent particularly at the very top. After the event got championship status in 1993, the world-leading mark outdoors has been over 15 metres every year except for 1994, 2002, 2011 and 2012. Why the decline is something of a mystery as there is absolutely no apparent reason to be found. Actually, if you look at the financial incentives provided for the elite, the situation has improved considerably for the event with the introduction in 2010 of the Samsung Diamond League. It has always been an event where it appears that the strength from many years of accumulated training is necessary to be competitive at the very top. Rypakova, Saladuha and Ibarguen were all born in 1983 or 1984, i.e. are currently in their late twenties. Junior marks beyond 14.00m are usually few and far between and this year it took the World Junior Championships to bring them out. In an exciting battle for the gold medal, Spain’s Ana Peleteiro improved by 67 centimetres and Lithuania’s Dovile Dzindzalietaite by 44 centimetres, with both women reaching 14.17m, Peleteiro winning due to having a better second jump.